Whimsy and World War II tend to go together as well as water and electricity. It’s all too easy to try and make a game like this, one designed to not scare off younger players, and have it unintentionally trivialize or make light of a dark time in world history. 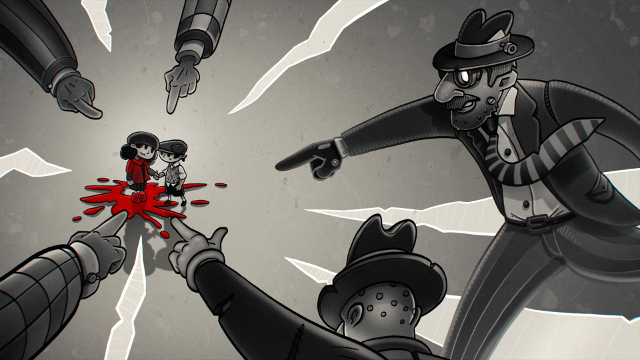 Enter Juggler Games, a Warsaw-based developer who set out to tell the story of a boy’s and girl’s enduring friendship, strained by a strange invading force. Through My Memory of Us, perhaps they can make an entertaining and thought-provoking experience around that idea. The game spans from shortly before a robot invasion until several years after the attempted escape from a ghetto. One sentence in and I already need to explain something: everything in My Memory of Us is a fairly clear metaphor for something from World War II. Case in point, when the robots take over they separate the humans by coloring some people’s clothes red, marking them as inferior. Those red-colored people get herded into ghettos and, eventually, flying trains to an unknown destination. Among the red people is the little girl, though the uncolored boy fights to stay with her as they trek through ruined cities, robot warships and underground networks. 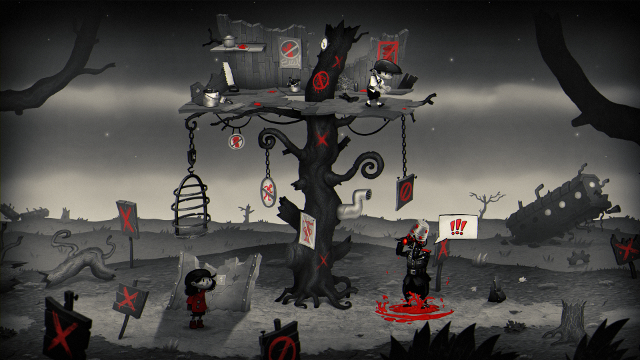 Gameplay consists of guiding the boy and girl through a side-scrolling, black-and-white-except-for-red world, solving puzzles and escaping capture while just trying to find a little happiness in the idle moments. The boy is slower, but he can move quietly, steal things and use a mirror to blind or distract people. The girl can sprint, jump over gaps and use a slingshot to hit distant objects or switches. These two can either move together by holding hands or split up. The latter is necessary to solve several puzzles and explore areas blocked off from red citizens. Stealth plays a role at several points, as does item discovery and use reminiscent of point-and-click adventure games. These mechanics play well off of each other throughout, except for one odd quirk I encountered. When one of them was inside a building and the other was on the street, I switched to the person inside, somehow locked the camera in one corner of the building and had to reset. Fortunately, My Memory of Us makes frequent use of checkpoints and chapters to break up each part of the story. It’s rare to lose any significant progress and, aside from that oddity I mentioned earlier, I encountered no other glitches or performance issues. Load times are incredibly short, which is likely helped by the simplified color palette. That said, the art style is quite eye-catching as it aims for an innocent, child-like depiction of even the most heinous parts of the surrounding conflict. It ends up reflecting the lead characters well, both all smiles as they run through dilapidated buildings and avoid robot soldiers. It’s worth noting that death and explicit violence are not depicted here. The most violent thing I witnessed was a paint bucket getting dropped on a robot’s head. Spoken dialogue plays a minimal role in My Memory of Us, but communication doesn’t. Everyone’s voice is mumbled nonsense, but there are also talk bubbles which illustrate how they feel and what they want. This is how most objectives are communicated and, personally, I almost always knew exactly what I had to do. This was only a problem in one particular instance. I saw a hint to a number puzzle flash in a talk bubble briefly, then disappear. I didn’t even know it was part of a puzzle until a minute or so later and had to reload the chapter. That’s not to say there is no dialogue at all. The one clear voice in this game is the narrator, who is the boy several years later. He recalls the events of My Memory of Us between each chapter. Voiced by none other than Sir Patrick Stewart, he of Star Trek and X-Men fame among others, his performance is equal parts heartwarming and heartbreaking. This, as well as a soundtrack which wavers between acoustic, borderline orchestral songs and more electronic, distorted arrangements, combines with the game’s look to make it something unique and memorable. 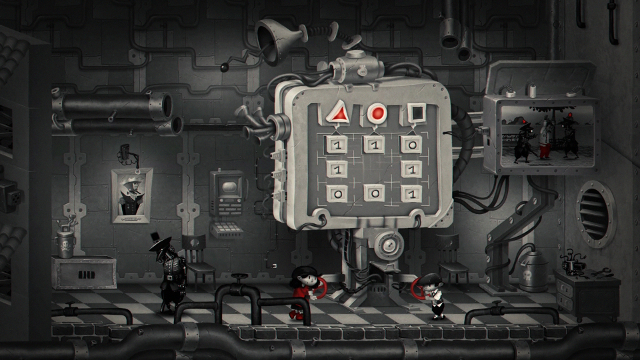 Environments, like the puzzles in them, start small and gradually expand in size as the game progresses. Most puzzles fall into two categories. The first is simple pathing puzzles, involving tasks like twisting a series of wires to power a sliding door or find the exit in a network of pipes. The other is item puzzles, where you find an item and figure out where it can be used. Items can only be used where they are intended, and interactive objects always display a button prompt when you pass them. Whenever I got stuck, it was usually because I hadn’t fully explored an area or was overlooking a blatantly obvious clue, so I can’t blame the game for that. These puzzles largely strike the right balance of not being too hard or too easy, considering the wider audience it’s going for. Stealth sections typically break these up and vary enough that I almost never felt like I was doing the same thing several times in a single playthrough. While I mentioned how My Memory of Us generally plays, I can’t stress enough how caught off guard I was by some of the shifts in the style of gameplay. Unfortunately I can’t go into details because it’s a major spoiler, but at some point the game dramatically changes genres to fit the situation at hand. It still fits the rest of the game and the simple control scheme makes it work as smoothly as everything else, whether using a keyboard or a controller. 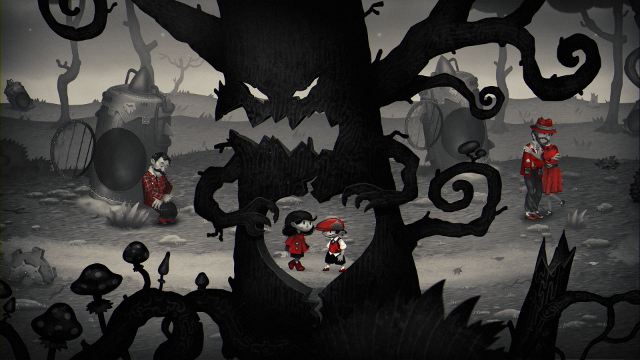 Replay value is a bit low for My Memory of Us, save for one thing: memories. 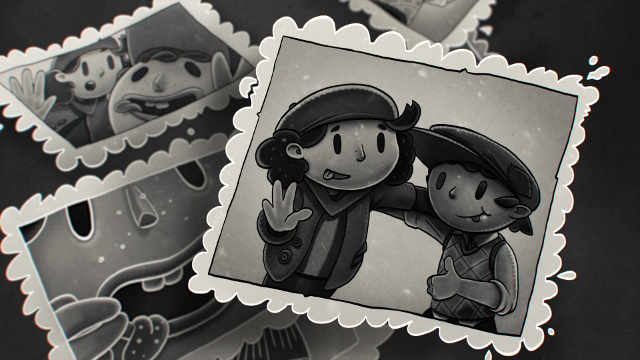 These can be found scattered across the game and each recounts the story of a real-life person from World War II. Several focus on Poland-based freedom fighters, which I think is a great move. Speaking as an American, when history classes here cover World War II they tend to not delve much into the stories of those closest to and most affected by the conflict. Most of the memories presented are for people I hadn’t heard of, and I found myself learning an extra thing or two about a part of the war that has a tendency to be glossed over by those furthest removed from it. The only annoyance with the memories is that I missed a couple and there doesn’t seem to be an indication for what chapters they might be hiding in. There are 16 memories in 18 chapters though, so it’s fairly simple to pinpoint where any missing memories are. It’s safe to say Juggler Games hit their mark with My Memory of Us. I was thoroughly entertained throughout and even as a jaded adult who doesn’t like children, I was completely invested in what happened to the kids and the people around them every step of the way. It’s a bit short, taking less than five hours to finish, but even so I’d still pay the $18 asking price for it. What it may lack in replay value it makes up for in a charming, imaginative world and the struggle of two friends trying to stay together as outside forces seem destined to keep them apart.